Police said the explosion rocked the several-story building shortly before midnight Saturday with a large bang, scaring people in surrounding homes so much they ran out into the street in a panic. 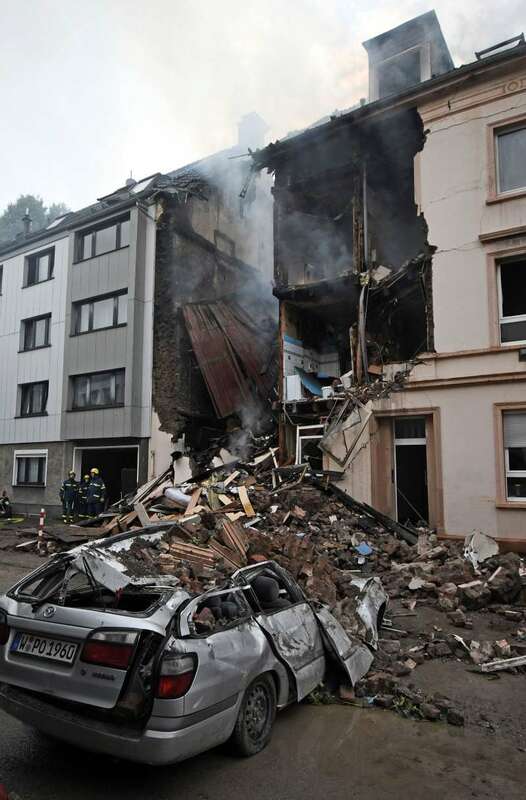 The detonation was so severe it destroyed the building's attic and the top three floors, the German news agency dpa reported. Some of the building's roof beams stood black and eerie in the smoke as police scoured accessible parts of the building for further people trapped inside before giving the all-clear. The place where the building stood is now a huge gap in a row of apartment buildings in the city's Langerfeld neighborhood.